"After making a request through prayer, we have a responsibility to assist in its being granted. We should listen. 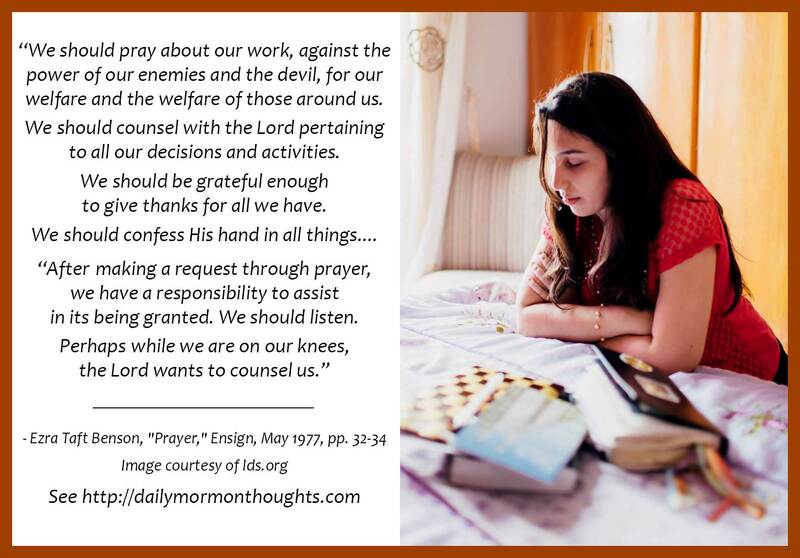 Perhaps while we are on our knees, the Lord wants to counsel us. 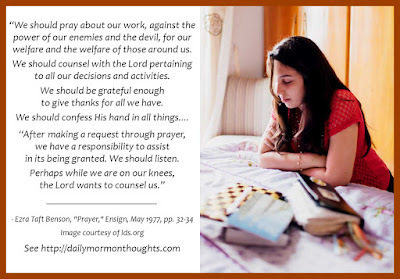 "'Sincere praying implies that when we ask for any virtue or blessing we should work for the blessing and cultivate the virtue.' (David O. McKay, True to the Faith, Bookcraft, 1966, p. 208.)" 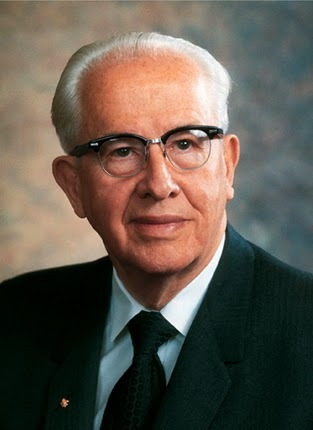 After offering additional suggestions, President Benson makes the most important observation: "Many other suggestions could be made; but with the help of the Holy Ghost, we will know about what we should pray."